The perfect choice for amateur musicians. 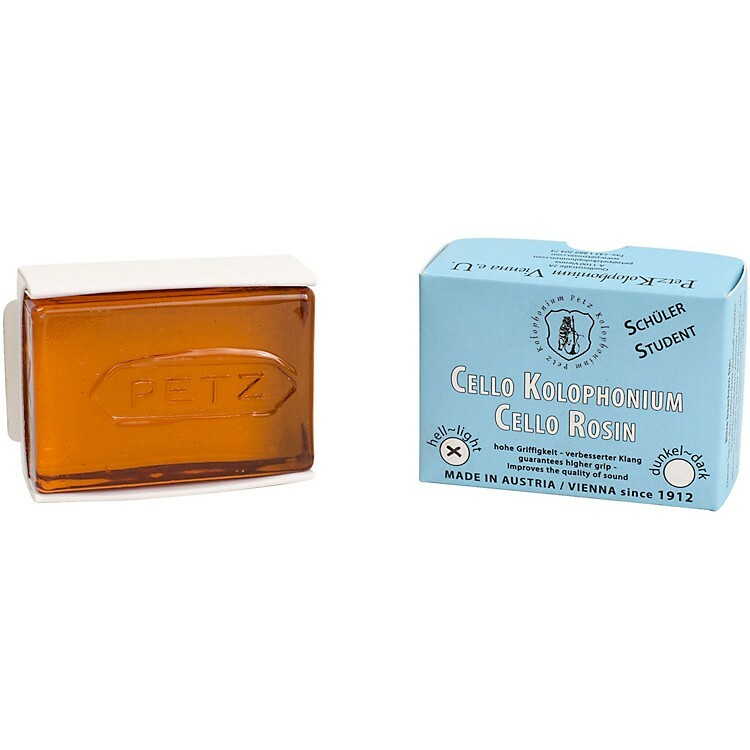 Petz Student Light rosin for cello is the perfect choice for amateur musicians and music students who appreciate faultless quality and a great price. This light color rosin is easy to apply, won’t shatter and provides just the right amount of grip to assure note clarity, volume and control. Conveniently packaged a small box and can easily be carried in the pocket of any case.